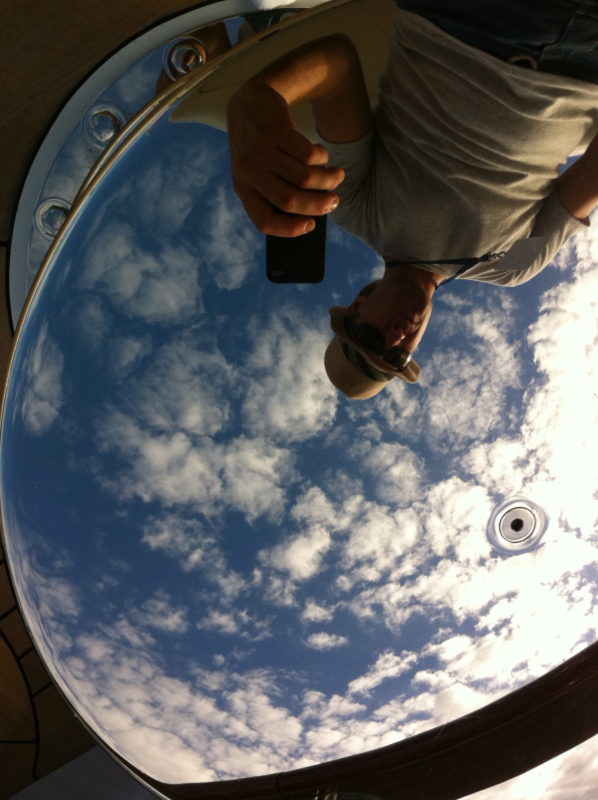 A vessel’s shine and show finish is a powerful image which sets your boat aside from the rest. Cosmetic integrity is highly dependent on the way the vessel is cared for. 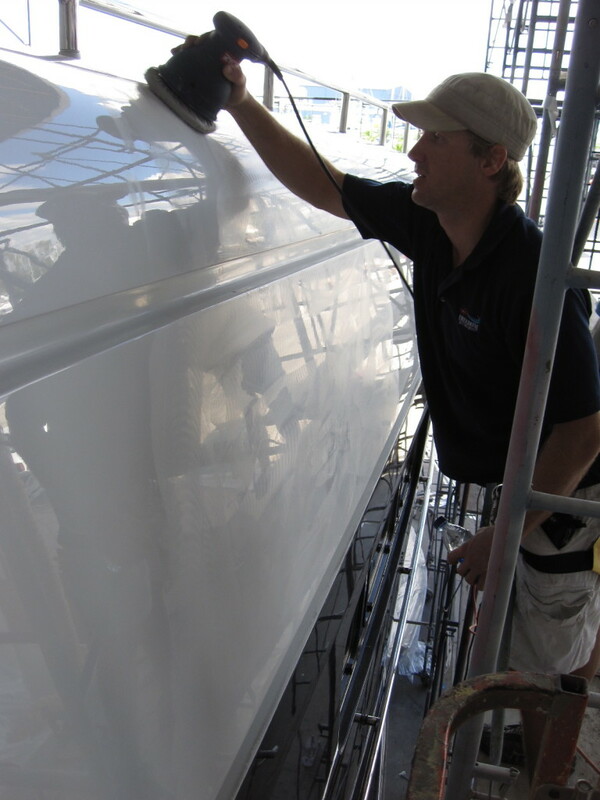 The shelf life of your yachts paint finish or gel coat can be quickydeminished when failing to address the common offenders. Cause: Aggressive polishing by untrained crew welding high speed polishers can cut deep lines into your boats painted and gel-coat surfaces. Once fouled these areas need polishing and waxing more regularly and micro finished with a finer product to close substrate. A proper wash down before polishing is critical in removing dirt and abrasive trash on paint and gel coat substraits. If not removed these elements will etch and scratch the paint upon polishing. I recommend starting with the least aggressive product to remove hazing and oxidization, do a test spot, if the oxidization is not removed to full clarity use a more coarse product. Avoid using silicon based waxes. Remember after cutting out oxidization micro finishing is neccessary to close up substraite pores. This is often neglected as freshly cut paint looks nice and shiny but is open and exposed. Strong wax stripping agents or abrasive scourers will damage the paint and gel-coat. Remove them from your deck supplies and keep in the engine room. A nano-polymer is recommended to maintain surface protection. When used on a periodic base the life span of your paint job is drastically increased by keeping contaminants from entering the substrate. Always hire trained, licensed crew to do polish work. Trained cosmetic detail specialist keep buffer speeds under 2,500 rpm. 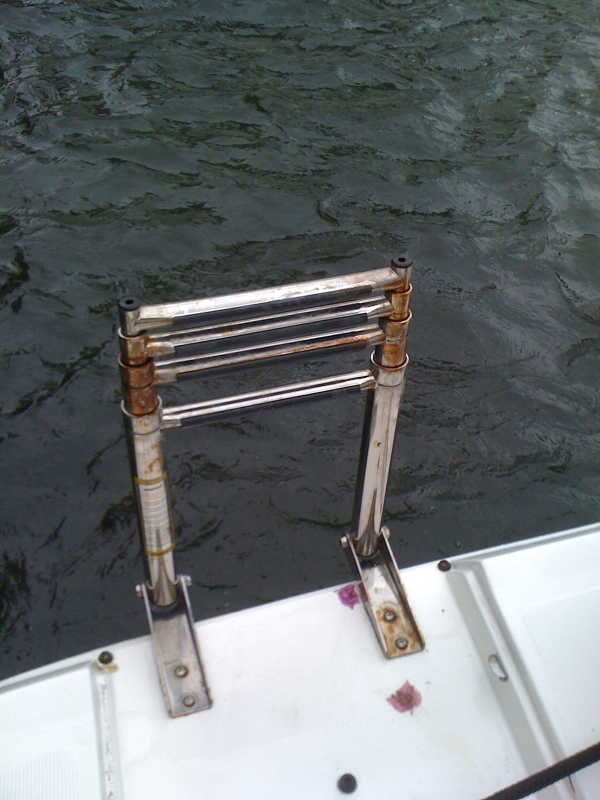 Bedesecrationary when hiring anyone to polish or refinish your boat. Listen intently to the product types, steps and procedures. Be leery of under bidders as they usually come with in-experienced and careless crews totting cheap abrasive products. 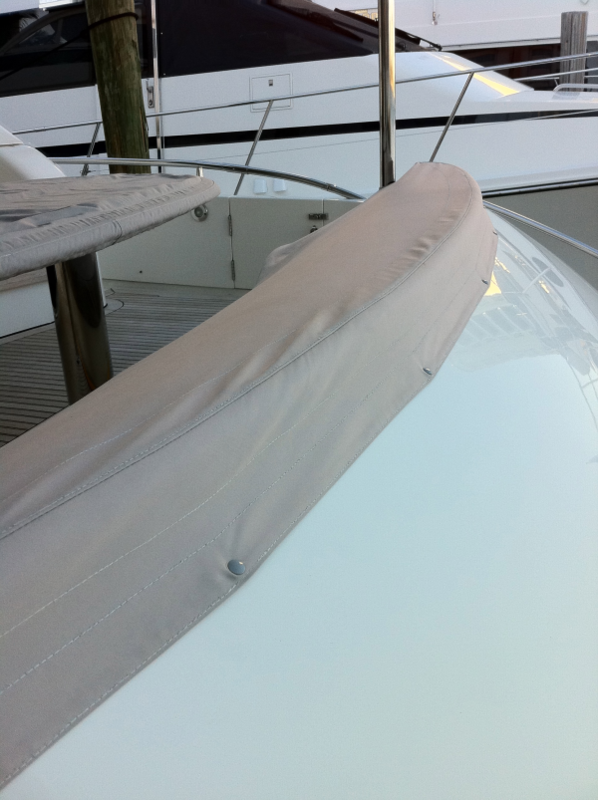 Cause: Sand and abrasive dirt on the surfaces of your fender socks or bare fenders will scratch your yachts beautiful paint and gel coat surfaces as they rub the paint constantly applying pressure. Use fender socks to cover your naked fenders. Wash, clean and care for the fender socks covering your fenders to free them of abrasive dirt. This happens commonly when a boat is docked in one location for a long period of time. It’s important to place fenders higher up on the piling where the surface are often much cleaner. New peel able coatings are being designed that adhere to the painted or gel coat surface to protect fender rub and scratches. Make sure you check with the paint manufacturers first. Giving the hull a thorough wash down is imperative to removing dirt and abrasive elements that will press into the paint if not removed. Cause: Galvanic reaction (electric currents being created by chemical reactions between two dissimilar metals) seen as bubbles forming under the paint. Apply Tefgel coating to all metal on metal fittings during maintenance periods and where possible, change non load bearing stainless bolts for nylon ones or use Delrin (polyoxymethylene) washers. This prevents dis-similar metals from touching one another. Apply Boeshield anti-water penetration spray to all hand rail base to prevent water seepage and rust emittance. Cause: Common docking accidents caused by tenders colliding with swim platforms or when tying up along side. Also when metal objects like deck poles or product cans slam into the paint or sub strait. Mindfulness when dragging water hoses or electrical cords across painted surfaces. These collect small rock fragments from the yard or docks concrete that will scratch painted or gel coat surfaces. 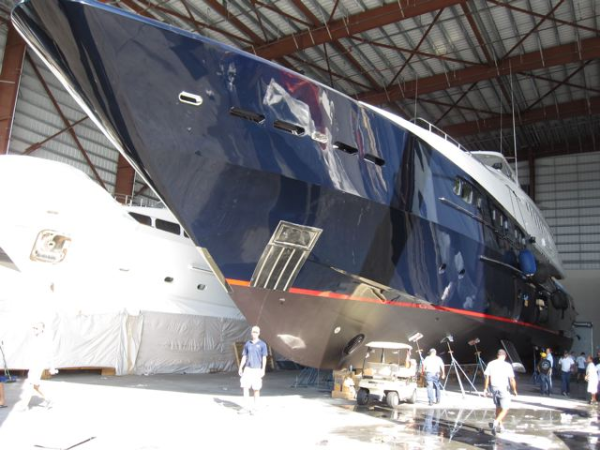 When in doubt about a repair always consult the paint or yacht manufacturer. Use a stripling paint method it’s recommended above strait paint strokes. When repairing or repainting keep it as small and contained as possible to minimize conflicts in shade and shine of the original painted surface near by. Your boat is for sale. There are 10 other vessels just like yours on the market, same make, model and price range. What steps or actions will set your vessel ahead of the rest when shown or validate a higher sale price? Let’s start with the curbside appeal. 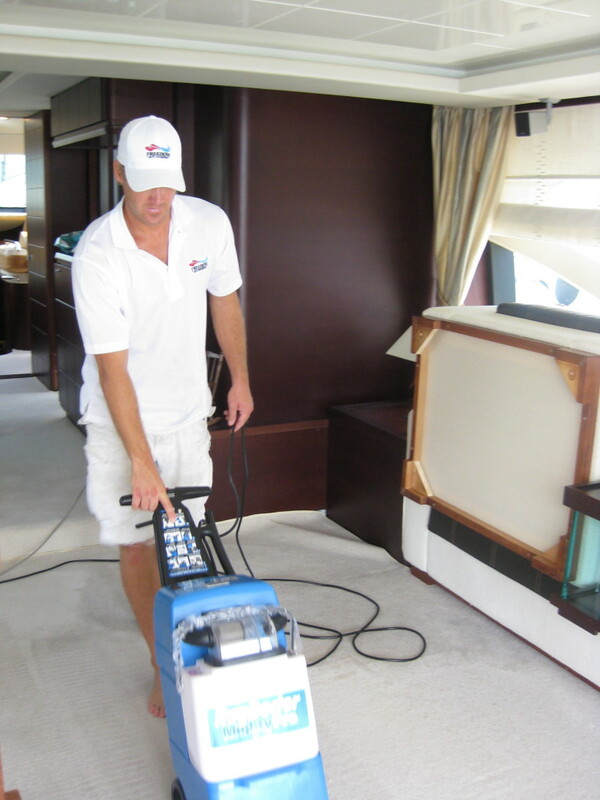 1) Shine-“Clean Boats Sell” “Shiny Boats Sell Faster” Having the paint or gel-coat on your vessel polished or refinished back to it’s original clarity and shine is one of the most important actions taken to enhance a vessels value and support it’s sale price. This is the buyers 1st impression. 2) Decks- Having the teak decks sanded with a 2-step process will bring back the natural oils and original finish while sealing up the grain from outside dirt and debree. Like wise having older non-skid decks repainted will enhance the new buyers first walk around experience. 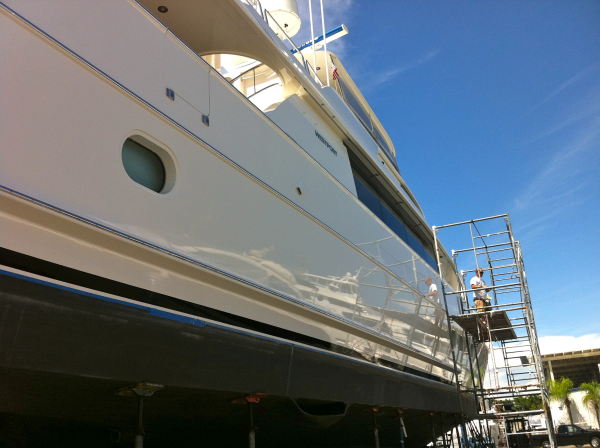 3) Metals or Bright Work-“Set the Hook” Making sure all exterior metals have been properly polished and shined assures the buyer of the vessel’s bristol clean upkeep and on-going maintenance program. 4) Windows- Having all exterior glass windows and isinglass micro-finished to remove fine scratches and water stains will create that perfect mirror reflection adding instant pop to the appearance. 5) Rust Removal-“Rust is the slowest burning Fire” Rust is a red flag that when seen will have the buyer running for the hills. Removing rust stains from metal on metal fittings and storage compartments is critical. 6) Canvas Coverings- Canvas coverings and snap downs often show age, catch mold and the harsh affliction from the sun. If deep cleaning and mold treatment cannot restore these covers re-canvasing is an excellent idea. 7) Engine Room-The muscle behind your boat lies here and if your engines have been laboring because of poor maintenance or high hours the evidence will be plastered through out. Deep cleaning of the engine room with a “white glove” approach will remove oil stains, rust and smell that can potentially kill a sale. Smart buyers will look in the bilges and under the engines. 9) Initial Survey-Having your own private survey will help identify short-comings before the buyer’s survey arrives allowing you the chance to address any unforeseen issues and maximize the cruising performance should any kinks exist. Boat For Sale? Cut Yacht Expenses While Sitting For Sale! I’ve often heard “the happiest days of a yachtsman’s life are the day he buys his boat and the day he sells it.” I’d like to think all the fine islands, fishing, and tangerine fingers spread out over a falling sunset would give back certain equity to the latter feelings of exasperation. But owning a boat can truly be expensive at times. When it comes to selling a boat, important decisions made up front can save big money while expediting the sale’s process. When a boat is for sale in US waters its private-use status is restricted and the boat literally sits for sale. A yacht for sale in this market can take upwards of a year to sell, depending on the price point__yet costs don’t stop. Many vessels in proper working order don’t necessarily need a full-time captain, crew and living costs associated, if the boat is not moving. Forging a relationship with a trusted, land-based yacht management team (service affiliated) can save owners big money while guaranteeing “show readiness” at any given time. Freedom Yacht Management is a service-driven, clean-and-care company, extending to brokers and owners the very best cost-reduction strategy, coupled with the quickest logistical path to the sale of your boat. Staffed with licensed captains and expert detailers, our service teams put your vessel on a pedestal for show, while presenting a trusted impression and name to the next buyer. Freedom Yacht Management delivers local knowledge and discounts to all our clients because our goal is to keep people boating. 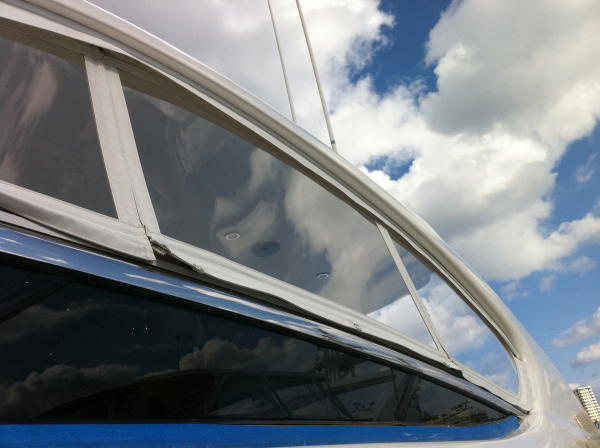 In addition to our maintenance services, we offer Freedom’s strategic alliances with the finest marinas and tech specialists in south Florida in order to protect your asset in the most unpredictable of circumstances. We’re here to help. Call today with any questions.